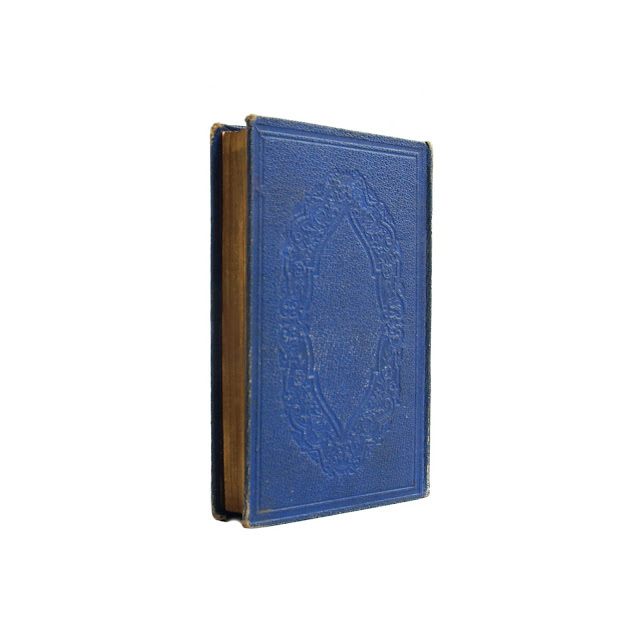 This small antique hardcover book is bound in dark blue patterned cloth boards. 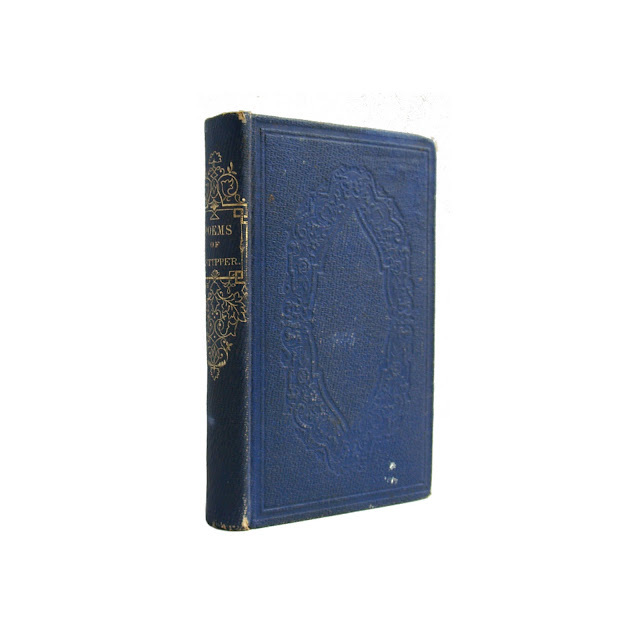 Spine has bright gilt lettering and scrollwork decoration. 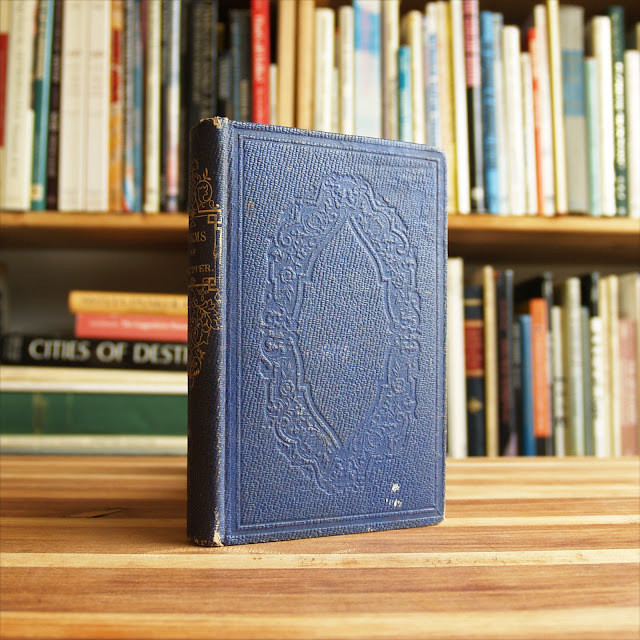 All page edges gilt. 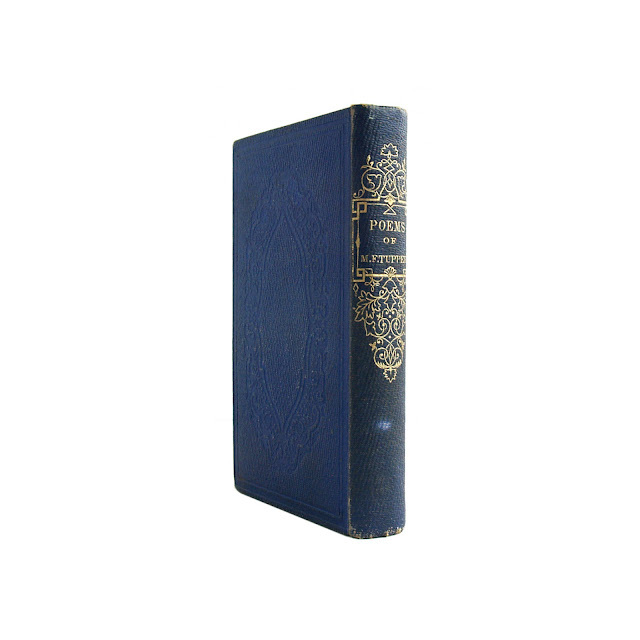 Cover is edgeworn, with spotting and soil; browned pages. 257 pages; approx. 3"x5".